Uncle Scam: Legislators try to pin down fraudsters who use influence, shared traits. Shysters come in all shapes, sizes, religious affiliations, professions and ethnicities—that’s what Keith Woodwell, director of the Utah Division of Securities, told the sentencing commission on Dec. 1. We’ve heard the stories before: a victim of the Trolley Square shooting investing a chunk of her life insurance with a Ponzi schemer who happened to be a fellow LDS ward member. A recent ripoff in Salt Lake City’s Vietnamese community based on the fraudster’s high standing within that community. Scams perpetuated by those in a position of trust are prevalent enough in Utah that state Sen. Ben McAdams, D-Salt Lake City, and Woodwell are pushing to beef up the penalties for the wolves in sheep’s clothing who bank on their authority to defraud investors. The problem is pinning down that kind of schemer into black-and-white legal code. “We know it when we see it,” Woodwell told the commission. “But it’s a really hard thing [to articulate] in statute.” The commission, comprised of legislators, prosecutors, judges and criminal defenders, liked the intent but felt McAdams’ bill needed to be more specific on how to identify affinity fraudsters without punishing legitimate investments made between people who also have an affinity. McAdams’ draft legislation is part of a package of securities-related bills he intends to present to the 2011 Legislature. 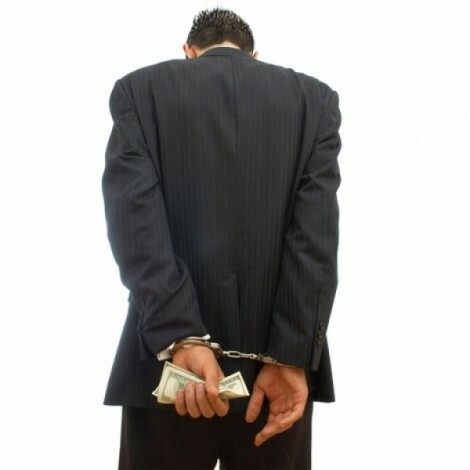 The affinity-fraud bill seeks to toughen existing laws by enhancing criminal penalties against fraudsters in two scenarios: when the fraudster cons a “vulnerable adult”—an elderly person or a person with a disability that impairs judgment on an investment, and when someone uses the influence of a position of authority or a shared trait with an investor to facilitate a scam. McAdams stresses that his bill would exempt professional financial-investment advisers from the enhancement. “It’s not just about the relationship,” McAdams says. “Because the reality is that most investment professionals are going to find clients because they are friends or they do go to the same church or have kids on the same soccer team.” For McAdams and Woodwell, the enhancement would target those who “leverage” their positions of trust—whether as a religious leader or a doctor—to ensnare their victims, or individuals who significantly leverage a common affinity in the pitch for the investment. “Or it’s the person who says, ‘I’ve prayed about this and God said I should make you this investment offer,’” Woodwell says, referring to an actual case. Benji McMurray, a federal defender present at the meeting, recognized affinity fraud as an obvious problem, repeating the nickname colleagues had jokingly given to McAdam’s proposed penalty enhancement as the “home-teacher enhancement,” in reference to a calling in The Church of Jesus Christ of Latter-day Saints. While McMurray sees a problem, he also worries the net thrown by the bill could entangle legitimate businesspeople. “We don’t want there to be a situation where someone who does business with a fellow churchgoer is running the risk of an enhancement,” McMurray says. While McMurray finds it personally offensive when people trade on a common religious affiliation or other bond to con people, he wonders if an enhancement is really necessary, especially when securities fraud is already illegal. “I’m sympathetic to the problem, but in general, I think lawmakers need to ask themselves, to what extent are they just making laws that sit on top of other laws?” McMurray says. That’s a point echoed by fellow sentencing commissioner Salt Lake County Sheriff Jim Winder. “This is one of those [situations] where we have fraud statutes in place dealing with the underlying offense; we’re now enhancing that without knowing if it will reduce the prevalence of the [fraud],” Winder says. Winder supports the proposal, however, noting Utah’s fraud reputation. In June, state and federal investigators announced that Utahns may have lost as much as $1.4 billion in fraud in 2009. That’s why McAdams is reworking the bill to make it stronger for the Legislature, focusing more on how fraudsters pitch their scheme, or use their influence, as opposed to the mere existence of a relationship of trust.